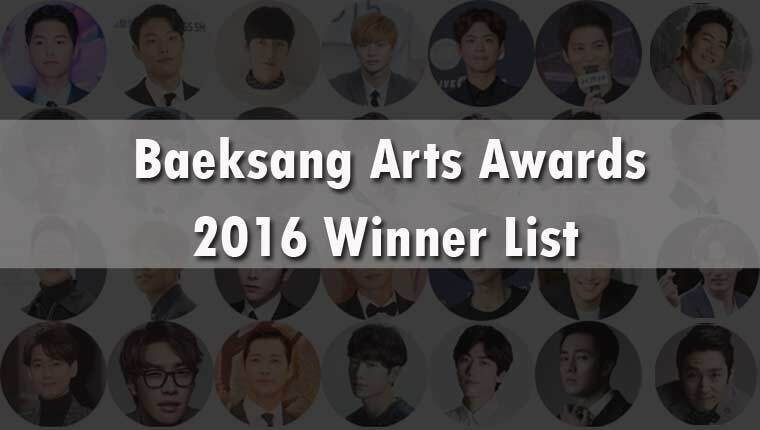 Baeksang Arts Awards 2016 Winners List: The 2016 Baeksang Arts Awards is the 52nd Annual ceremony, and the function took place at Grand Peace Hall of Kyung Hee University on today, 3 June 2016. In this 2016, there was permanent male MC comedian Shin Dong-Yup and only 2 MCs Suzy of Miss A. The complete BAA 2016 (Baeksang Arts Awards 2016) is aired on the JTBC Network. In this 2016, first ever in the history of last six years where the female host has changed and the first time, were there only two MCs. As per the records of previous years, there were used three MCs.